Winter can be a wonderful and beautiful time full of cheer. However, it also comes with seasonal risks. Once you are aware of these risks and take the right precautions they can be lessened or even eliminated. The first concern of winter is that penetrating cold. Pets at extra risk are those who are smaller, older, ill, are short /thin coated, and low to the ground. Signs of hypothermia in your pet are shivering, disinterest, slowing down, anxiety, burrowing/hiding, or showing any signs of weakness. If your pet is showing any signs of hypothermia, they need to be brought to a warmer dry place as soon as possible. If out on a walk try stepping into a warm store, picking the pet up, or consider taking transit home if you are farther away. 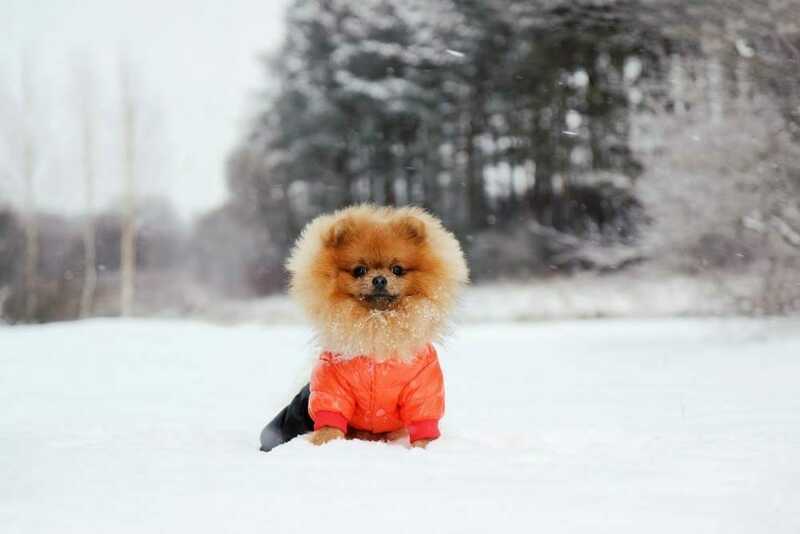 Your dog should wear a coat and booties while outside. Long multilayer coated breeds like huskies or chow chows may not need a coat, but booties are still recommended (more info below). Short breeds where their bellies touch the ground should have sweaters covering their bellies. Dogs may require shorter but more frequent walks. If it’s too cold for you, it’s likely too cold for them, and there’s no harm staying inside or going out just for elimination. Do not leave dogs unattended outside or where you can’t hear them come back in. Dogs should not live outside during winter especially if they do not have constant access to a warm heated dry shelter. 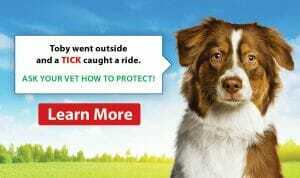 Pets should not be left in cars during errands as vehicles can become very cold very quickly. In winter it is best to leave pets at home if they can’t go inside where you are going. Pets that are affected by heart disease, diabetes, kidney disease, or hormone imbalances (such as Cushing’s/Addison’s/thyroid disease) have a more difficult time regulating temperature and need extra consideration. Provide warm sleeping areas for pets (off the ground or elevated if possible) and away from windows/drafts. Be careful with space heaters, making sure they aren’t able to be knocked over or a pet cannot burn itself. Another concern in winter is the various chemicals used throughout the season such as salt, ethylene glycol (anti-freeze), etc, that can be harmful or fatal to your pet. Anti-freeze, when ingested, is a medical emergency if you suspect your pet has ingested any amount of this product it needs to be brought to a vet immediately. Ensure if you have anti-freeze that it is safely put away where a pet cannot reach it or knock it over and that it is always sealed tightly. Even if your pet may never enter the area where anti-freeze is kept wildlife/outdoor pets may so it’s a good idea to have it secured. Avoid puddles in winter as these likely contain anti-freeze/high levels of salt and your pet may try and drink from the water or get it over their paws and lick it off. Boots are always recommended for all dogs going outdoors or at the very least paws/underbellies should be wiped and washed to prevent ingestion and irritation from these chemicals. Boots can take time for dogs to get used to, use lots of rewards/treats, start small, and don’t give up! Cats should be kept inside during the winter to prevent frostbite, salt/anti-freeze ingestion (through drinking from puddles, licking off self, or ingestion wildlife that has ingested the chemical), hypothermia, and to prevent them from hiding in the hoods of cars which can be fatal. If the cat cannot or will not stay indoors, a warm, dry well maintained shelter should be provided or constant access to the home available. Keep ID on your pet with a collar, tag, or microchip as it’s likely for pets to become lost during the winter time due to the lack of vision, snow blindness, stormy weather, and scents they use to find their way being covered by the snow/ice. Do not overfeed your pet to gain “winter weight” in order to fight the cold. The health risks associated with weight gain far outweigh the benefit for the outdoors. Most pets require fewer calories during the winter due to low activity. If you notice your pet gaining weight, you may need to feed less or find a way to increase activity and enrichment indoors. Indoor activities should be provided for mental stimulation and physical health. For dogs and cats, you can try treat based toys to keep them active and thinking. Treat balls, puzzles, or “the muffin tray” (placing treats in a muffin tray and covering the tops with tennis balls and having your pet uncover the treats) are ways to keep your pet stimulated during the less exciting winter time. Laser toys, fetch, learning a new trick, anything you can think of to engage your pet are all beneficial for your pet to stay happy and healthy through these cold months. Don’t let yourself get low on your pet’s medications/food in case of a snowstorm and unexpected closures! Shipping companies can also have delays in this time. Stock up well before you need it in case of emergency. If you have any questions, want more information regarding any of these tips, or if there is anything we can help you with please don’t hesitate to contact us! We hope you had a wonderful holiday and everyone stays safe and warm this winter!